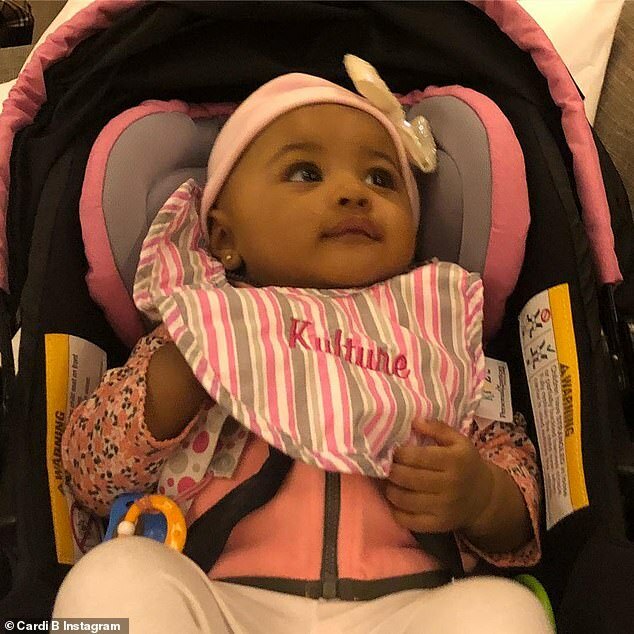 Cardi B welcomed baby girl Kulture Kiari Cephus into the world back in July. And on Wednesday the Be Careful songstress' gave followers their first look at the darling four-month-old on Instagram. 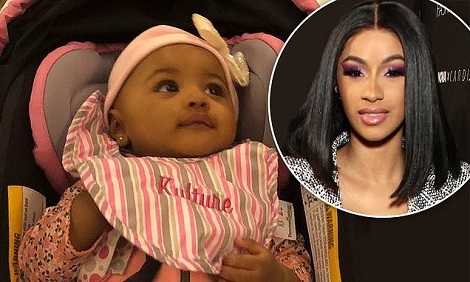 Cardi's big baby reveal came just a day after she used social media to announce she and husband/father of her child Offset were calling it quits after a little over a year married. But any heartbreak was hidden as she doted on her little girl in the photo. 'My heart [heart emoji]' the 26-year-old Bronx native captioned the picture.